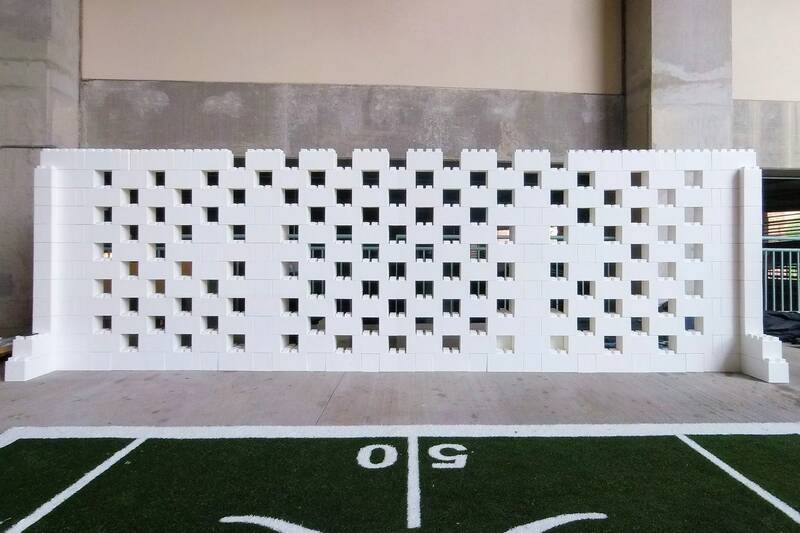 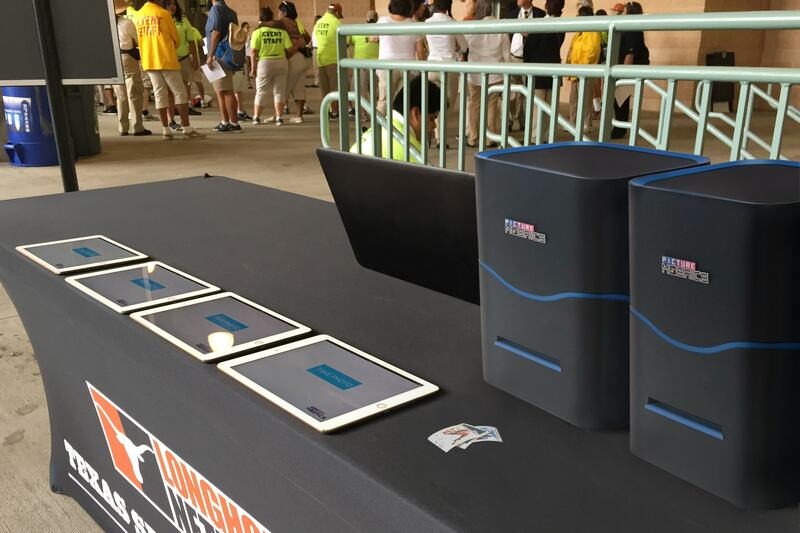 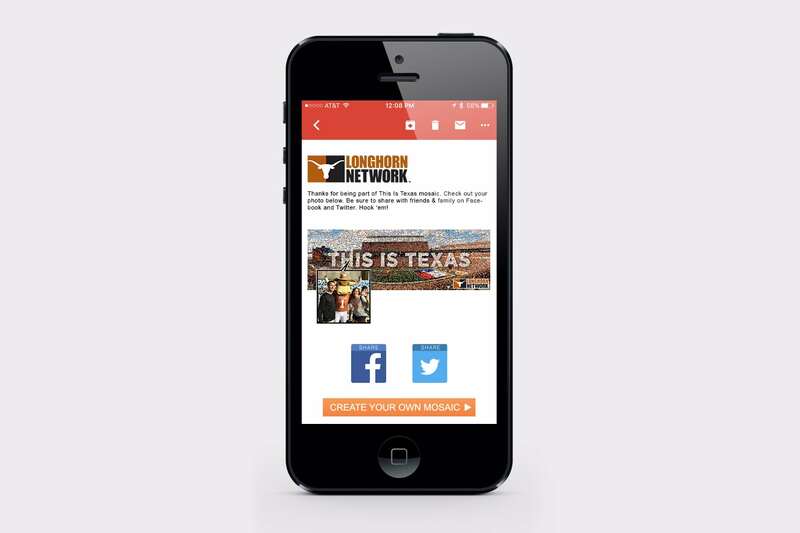 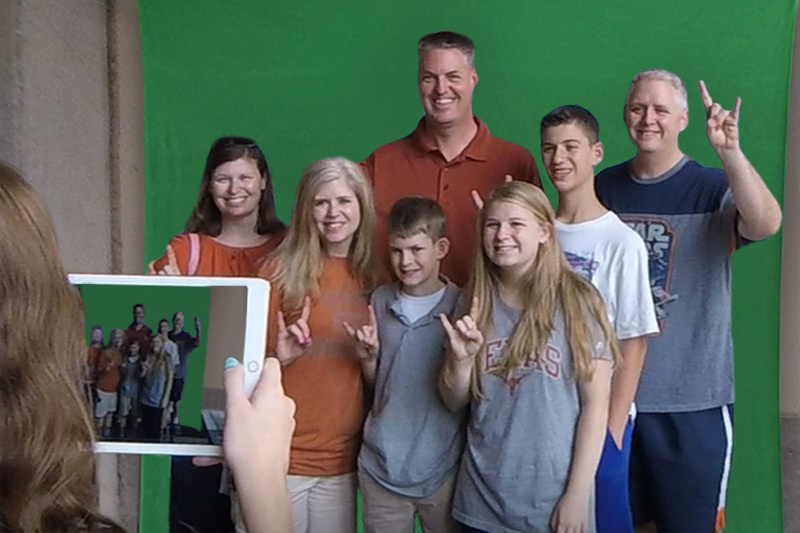 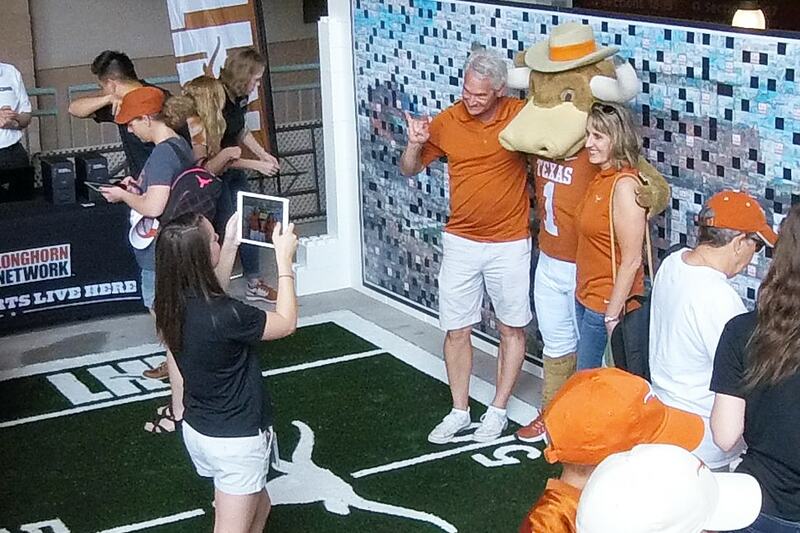 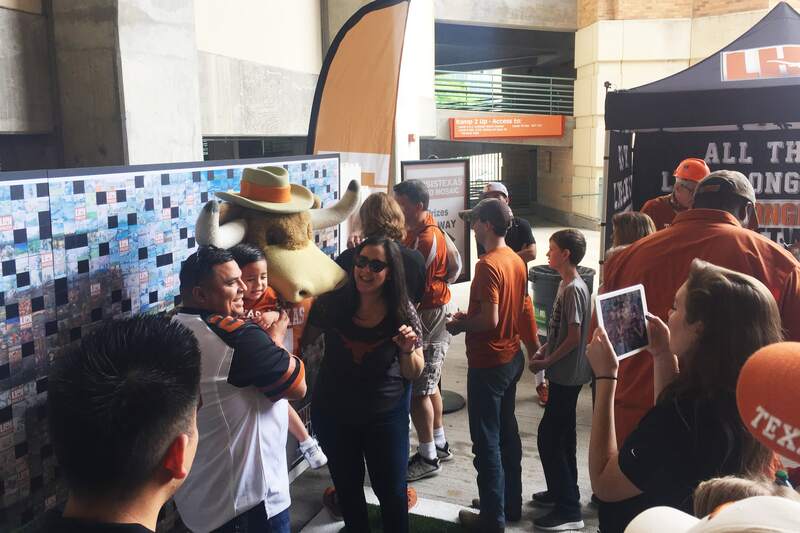 The Longhorn Network from the University of Texas came to us in search of a way to fully engage their fans at the Orange-White Spring Game. 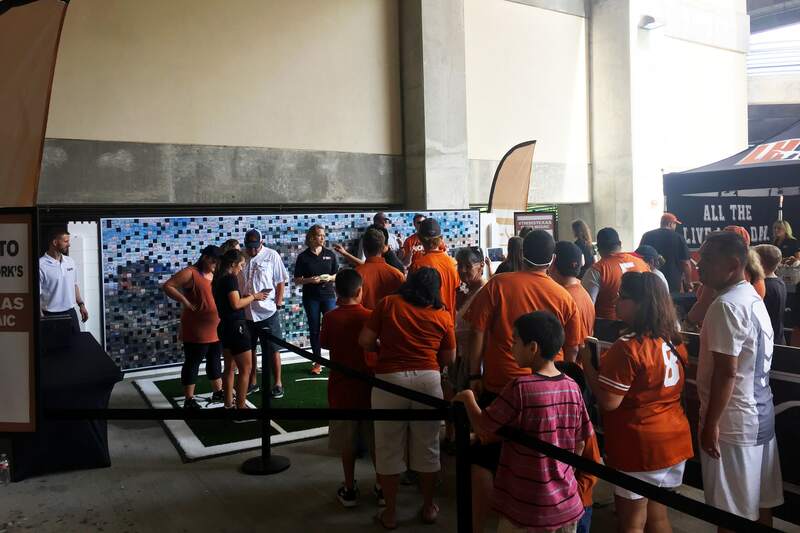 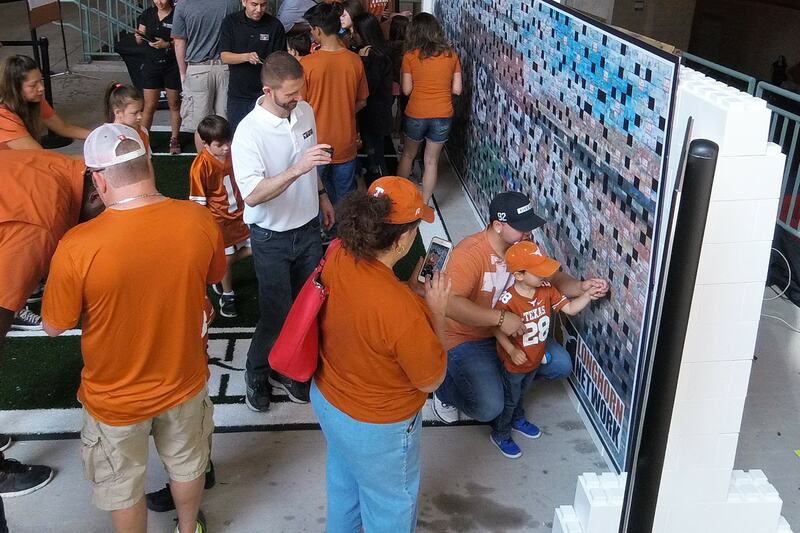 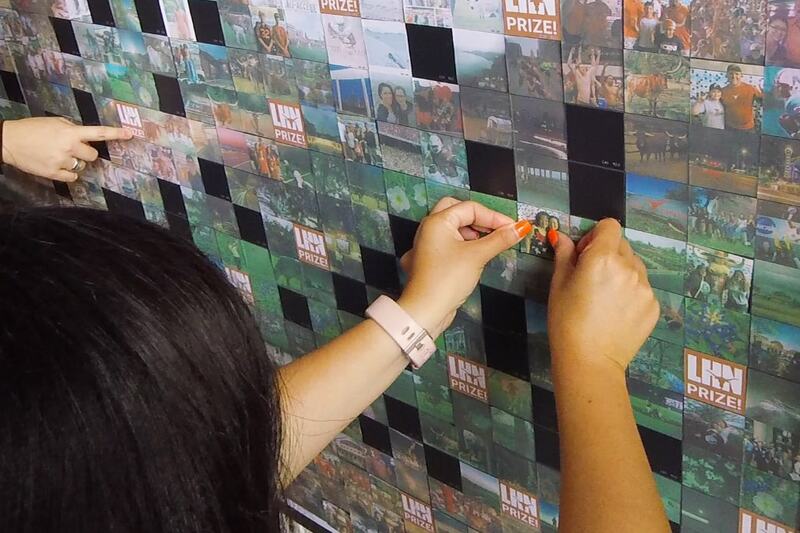 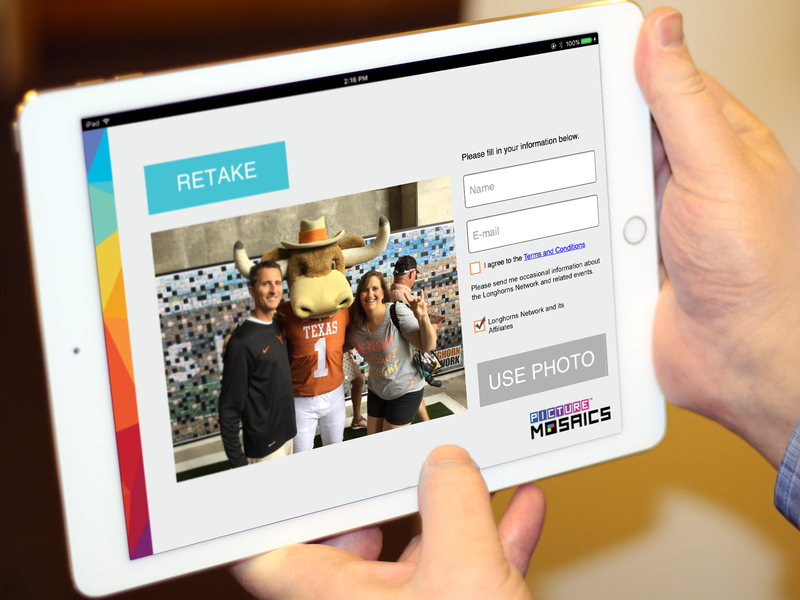 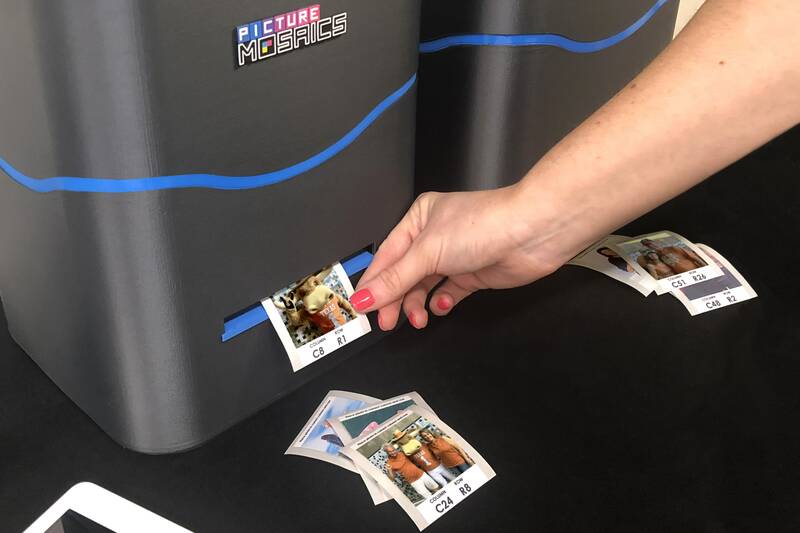 Knowing there would be thousands in attendance, we recommended a Live Print Mosaic, allowing each fan to place their photo into the mosaic mural, kicking off the game with spirits high. 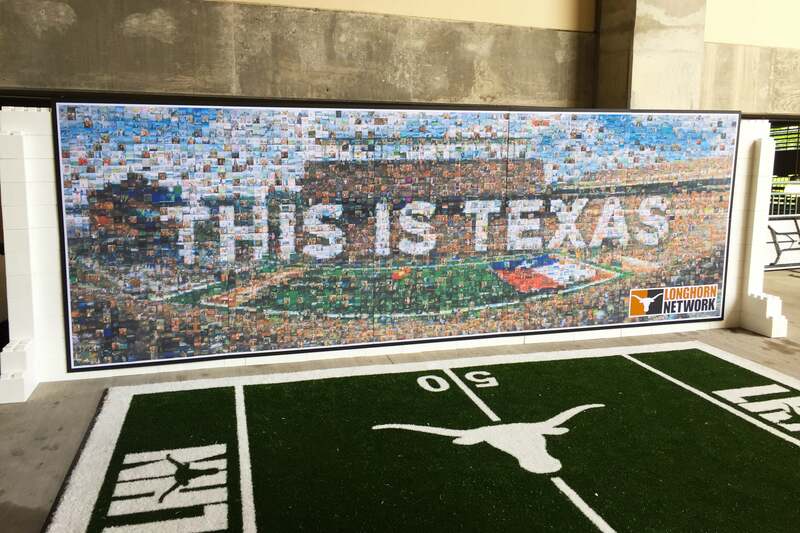 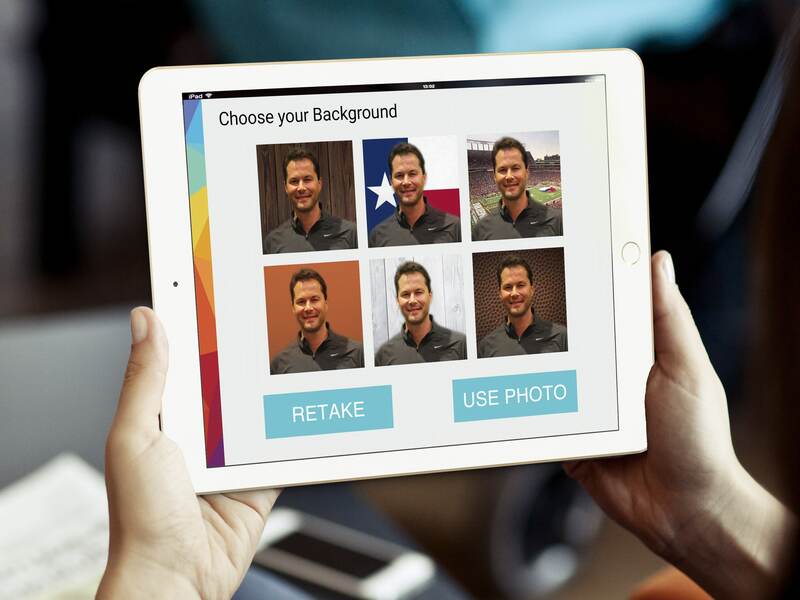 To create this mural, we used a combination of photos taken onsite through a custom iPad app and photos posted through Twitter and Instagram using a unique hashtag (#ThisIsTexas).